When it comes to videos, MP4 is the most commonly and popularly used file format. Created by Moving Picture Expert Group (MPEG), MP4 is a compressed format that contains video, audio, subtitles, as well as images. MP4 files are widely used for sharing good quality videos over the net and thus whenever you download any video from the Internet, there are great chances of the files being in MP4 format. Many time, need arises when we only want the audio content from the entire MP4 file and in, such situations you need to convert MP4 to audio format like OGG. So if you too are in search of a way to convert MP4 to OGG on Mac, you have landed on the right page. Read below to know more about how to convert MP4 to OGG for Mac. Before we analyse as to why we need to convert MP4 to OGG on Mac, let’s first get to know what exactly OGG format is. Maintained by Xiph.Org Foundation, OGG is a free and open container format that is basically a compressed audio file that holds audio data. These audio files can also contain information regarding track and artists besides metadata. OGG files are unrestricted by software patents and allow streaming and altering good quality multimedia files. Now whenever the need arises to convert MP4 to an audio format, MP3 can be the most obvious option. But a large number of people instead choose OGG, owing to various pros associated with the format. First of all, OGG is a free and lossy audio format that offers good quality sound with smaller file size. OGG is an open format that can be considered as a patent free and a royalty-free version of the MP3 format. The OGG format is preferred by a large number of hardware manufacturers as well as web browsers, and thus taken into consideration while converting MP4 video files to an audio version. So whenever you want only the audio content from your MP4 video file, convert MP4 to OGG on Mac and enjoy good quality audio without occupying too much space. Allows converting MP4 to OGG format without compromising on audio quality. The conversion process takes places at a super fast speed. Multiple MP4 files can be converted to OGG format with just a click of a button. In addition to OGG, it supports other 1000 media formats. All-in-one toolbox: Add metadata, cast to TV, GIF maker, VR converter, screen recorder and more. Step 1 Launch Wondershare OGG converter and Load MP4 file(s). 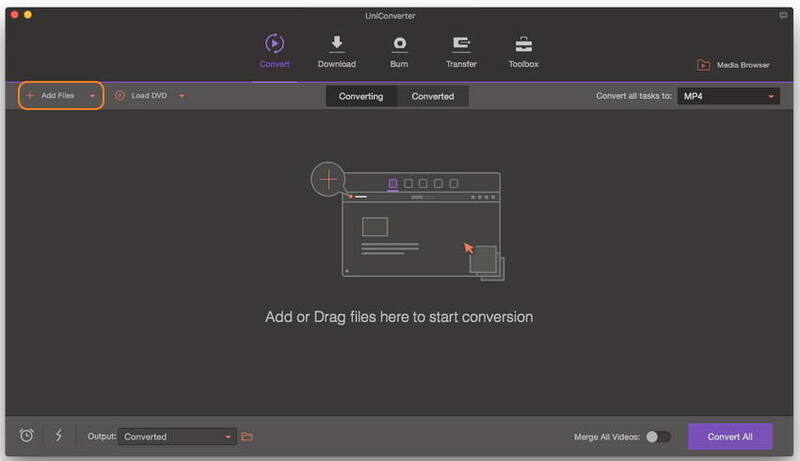 Download, install and then launch Wondershare UniConverter for Mac (originally Wondershare Video Converter Ultimate for Mac) on your Mac. 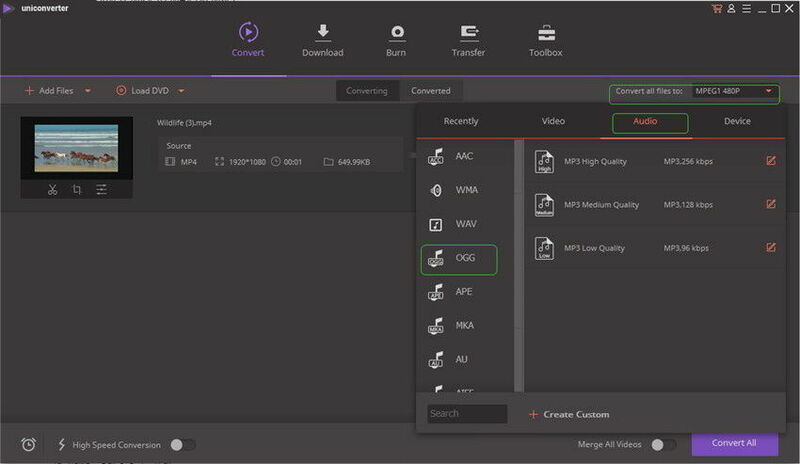 Drag and drop the desired MP4 file(s) to the main interface. Alternatively, click Add Files and then browse for the desired MP4 file on your Mac. Step 2 Select OGG as the output format for MP4 to OGG conversion. At the top-right corner of the interface, click drop-down icon beside Convert all tasks to:, select OGG and the related quality from the Audio tab. Besides, you can click Create Custom to customize your OGG format if necessary. Step 3 Convert MP4 to OGG on Mac. Finally, tap Convert icon to initiate the MP4 to OGG conversion process. After the conversion, you can click the Output icon to see the converted OGG files. If you are looking for a decent online and a free solution then checkout http://media.io/ . This online audio converter allows converting your files to various audio formats including OGG, MP3, WMA, and WAV. 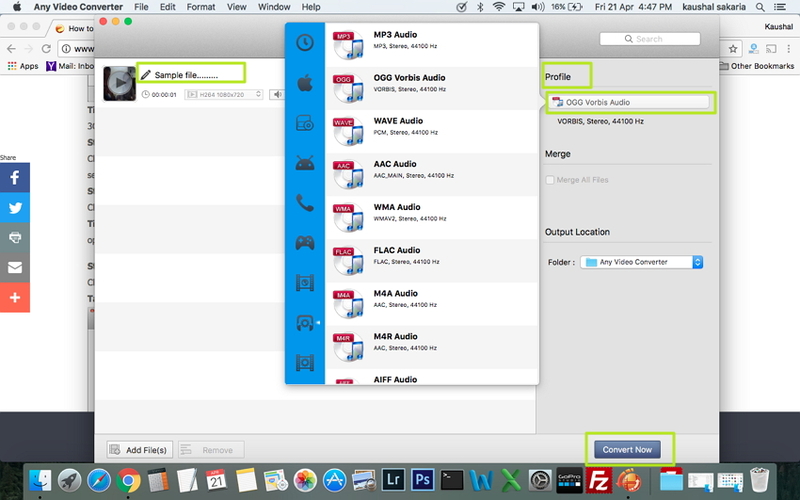 Using the converter you simply need to upload the desired file from your Mac, select output format and click convert. The converted file will be available for download. In addition to local files, you can also add the URL for conversion purpose. The converter also allows selecting the quality of the converted file with an option of extreme, high, normal, and lower. Step 2: Click Select File to Upload and add the desired MP4 file from your PC. Step 3: Select OGG from output format and then select desired quality. Step 4: Finally click Convert to start the process. Once successfully converted, the download link will be made available. Online converters are a good choice but these converters are solely dependent on the availability of internet connection. So if you are more comfortable using a desktop software, but looking for a free and reliable solution then Any Video Converter ( AVC) will prove to be an apt choice. Available for Windows as well as Mac system, the software allows converting local as well as downloaded videos. The program supports an array of input formats which can be converted to a list of popular formats and preset devices. The software also works as a free audio CD ripper and editing tool with features like cropping, rotating, and others. AVC also allows downloading videos from over 100 sites including popular names like YouTube, Metacafe, and others. 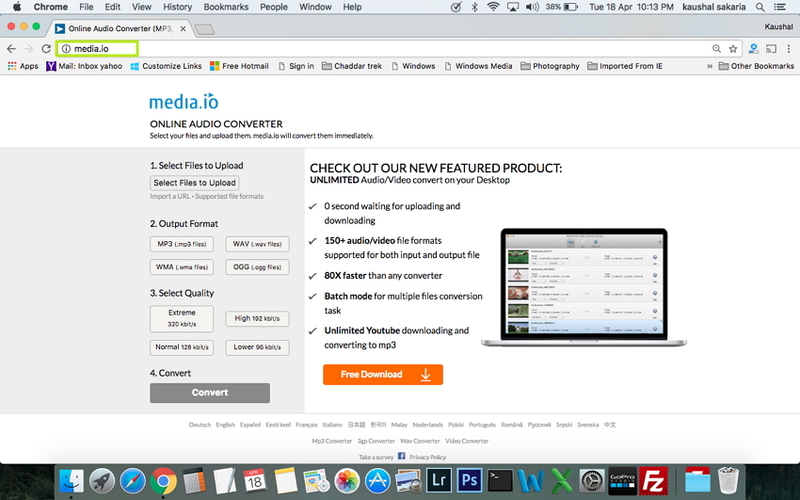 Step 1: Download, install and launch Any Video Converter on your Mac. Step 2: Next, you need to load MP4 files to the software interface. You can either drag or drop the files or click Add File . Step 3: At the right-hand side panel of the software interface under Profile, select OGG format from the drop down list. Step 4: Finally click “Convert Now” button to start the process. MP4 file will be successfully converted to OGG format. In the above parts of the article, we have discussed 3 types of programs to convert MP4 to OGG on Mac- Professional software, free desktop software, and free online software. Each of these tools has their associated pros and cons. Depending upon factors like a number of files to be converted, quality of converted file needed, the speed of conversion, additional features, and others, you decide upon the type of software or program. To help you decide among these programs, below given is a table of pros and cons. Assess your requirements and select the best-suited tool. Allows converting videos at 30 times faster speed. Support more than 1000 popular formats for conversion process. Allows converting files to device compatible formats. 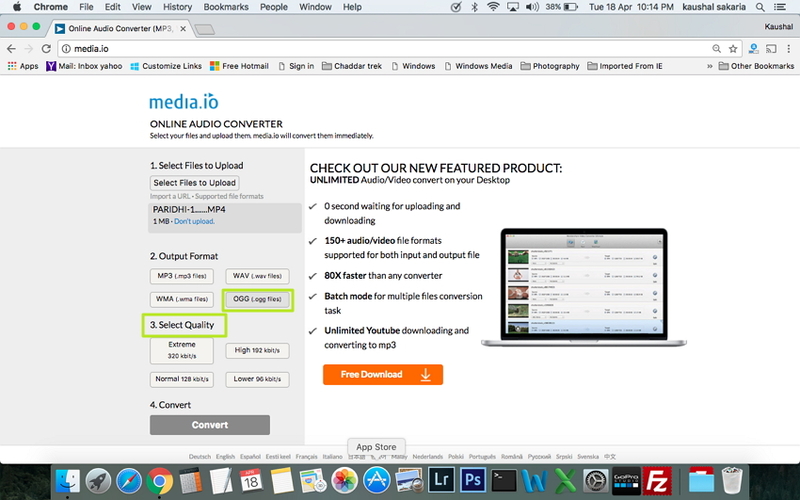 With batch conversion, multiple files can be converted at a time. Allows downloading as well as recording videos from over 10,000 sites. Allows converting files without any quality loss. Also works as a DVD tool-kit with options like converting, creating, and burning DVD. 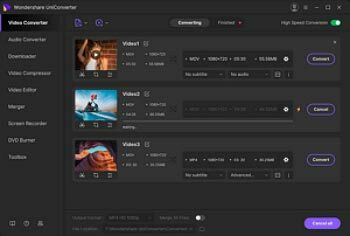 Comes loaded with an array of options for editing and personalising videos like cropping, merging, trimming, and others. With regular updates,the software is safe to use. Need to pay for the software to enjoy complete set of features. Need software download, installation, and registration. Supports decent array of input and output formats. Allows downloading videos from YouTube and other sites. Works as free audio CD ripper. Need software download and installation. Conversion speed is not as good as paid software. Limited format support as compared to professional software. No need for any download, installation, or registration. These converters depend on availability of internet connection. Slow conversion speed in case of slow internet speed. Quality of converted file is not always good. Thus, it can be concluded that Wondershare UniConverter (originally Wondershare Video Converter Ultimate) is the best choice among all the programs, owing to the decent list of associated pros. The software is a complete conversion solution that also works as a downloader and an editor. The complete set of VCU features can be enjoyed after paying for the software and this can be a matter for budget conscious users. 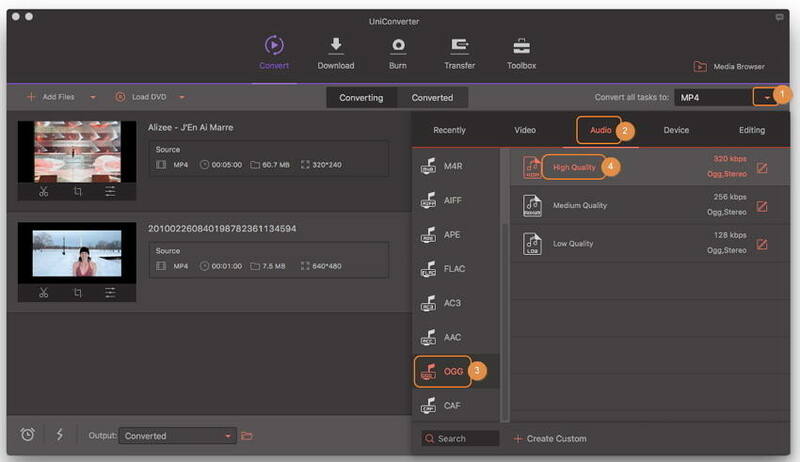 For pocket-friendly option when only a few files need to be converted, free desktop software like Any Video Converter or an online converter like Online UniConverter (originally Media.io) can be selected.